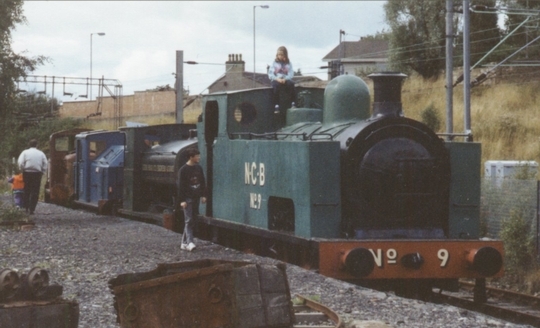 Another view of this Leeds built engine which worked for the Wemyss Coal Co. and the National Coal Board at Bedlay Colliery, Glenboig before preservation. 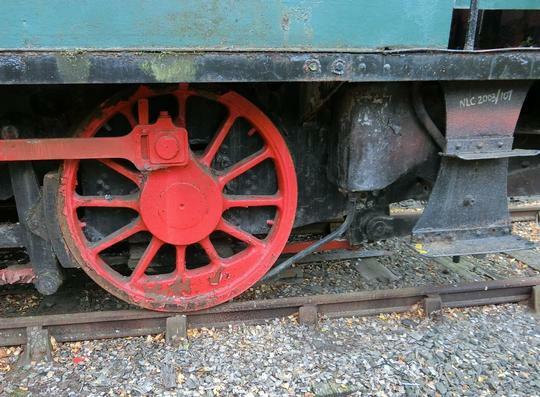 Standing in the open leads to shabby, dull paintwork and rust. 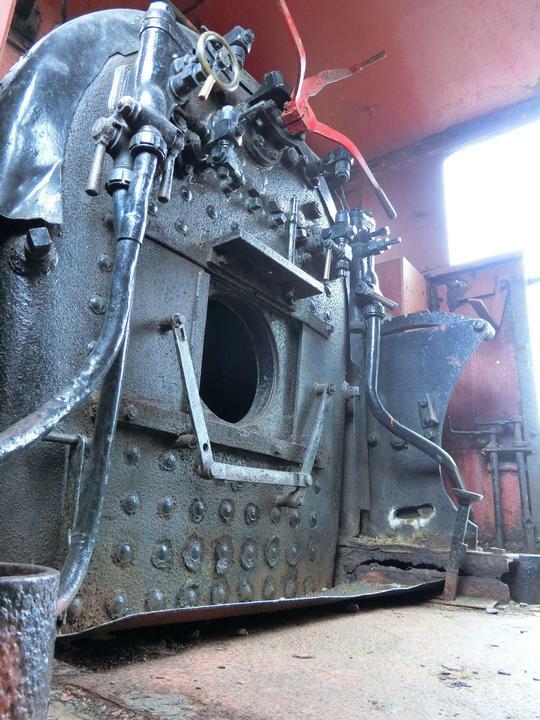 Here's the effect on this loco. 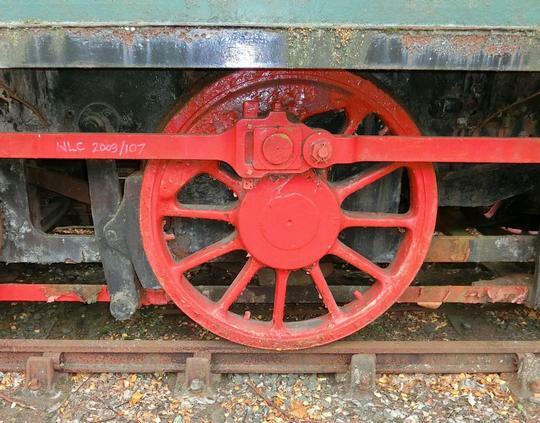 Notice too that the tyres are very worn. 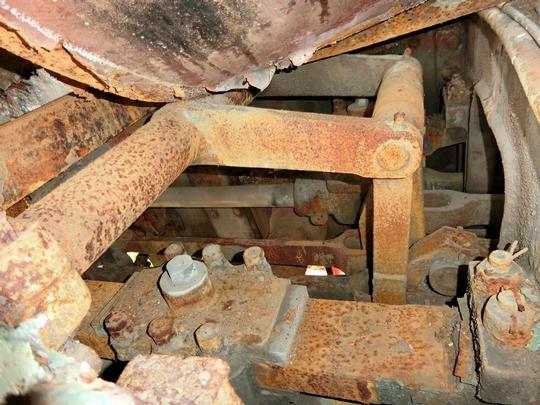 Trailing coupled axle and sandbox, badly corroded. 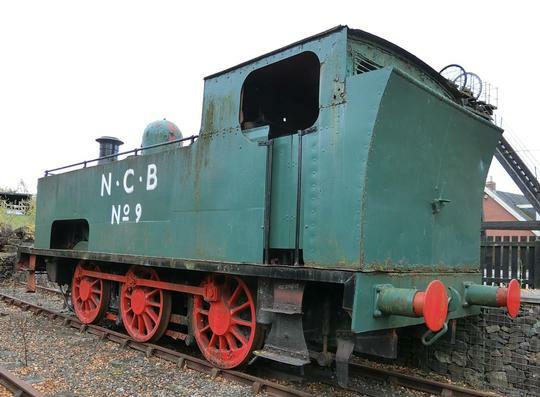 Much missing from the footplate, but still better than some. This is the rusted up state of affairs between the frames. 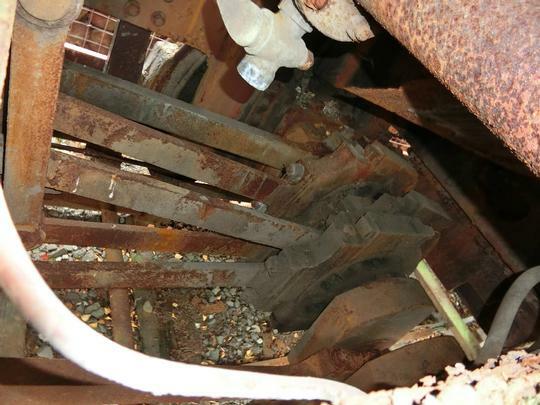 These are the slide bars of the inside cylinders. It seems doubtful that they have received any attention since withdrawal from service. 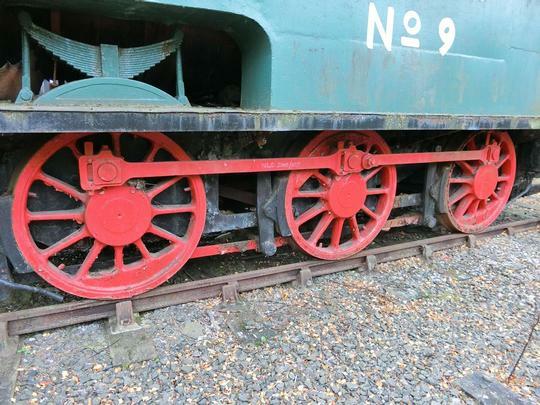 The same story applies to the Stephenson Link valve gear. Dry of lubricant, rusty, but at least it's complete.